I received product in exchange for t his post. Please do your own research before purchasing products or using services. Your opinions and results may differ. Twentieth Century Fox Home Entertainment invites you and your family to join Manola, Maria and Chuy as they embark on a magical journey that takes them on an adventure of a lifetime in THE BOOK OF LIFE available on Blu-ray™ 3D, Blu-ray™ and DVD January 27. Written and directed by Jorge R. Gutierrez and produced by Guillermo del Toro, the characters venture to the Land of the Remembered and embrace the rich culture and family history brought to life by the all-star voice cast of Channing Tatum, Zoe Saldana, Diego Luna, Ron Perlman, Kate del Castillo, Christina Applegate and Ice Cube. 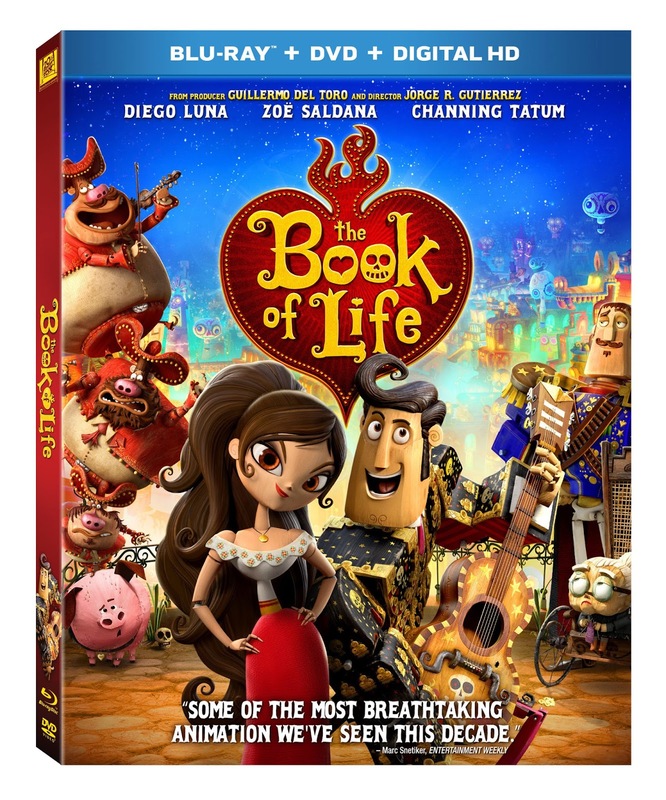 One person will win The Book of Life Blu-ray/DVD Combo Pack. We did not get to see this in the theater. My son has seen the previews for it though and has been asking to rent it from red box or buy it when it comes out. I have to agree with him...it looks like a movie worth owning! No, we have not seen it but I think we would love it. We always watch before we allow our grand daughter to watch. No I have not seen this movie. My family did not see the mmovie in the theater. We did not see the movie at a theater! No, I didn't see it in theaters. We haven't seen this movie yet, but our family wants to. I was not able to see the movie in the theater we had a sick child! No, I haven't seen this DVD or movie yet. We didn't, but it looks really good! I didn't watch this in theatre but know my kids want to see it! We have not seen this movie. We didn't get the chance to see it. Thanks so much for the chance! I didn't get to see this movie at the theater, but I wanted to. It looks like a really cute movie. I did not see this in a theater, though I did have advanced screening passes for it. We were moving at the time, so we couldn't make it. We didn't get to see it i the Theater, but can't wait to see it at home! We never made it to the theater to see this movie even though we really wanted to. it looked so cute! We didn't see Book of Life in theaters. The kids have been asking to see it! I did not, but I'd like to see it. I love the illustration style in the movie. Unfortunately, I missed this movie while it was at the theaters. We have not seen this movie yet. We are looking forward to watching it for family movie night though! No, I didn't get to see it. I'm sure it's great and I'd love to watch it with the grandkids. I did not get a chance to see this in the theater. I did not see this movie in the theater. No I did not see book of life in theaters. 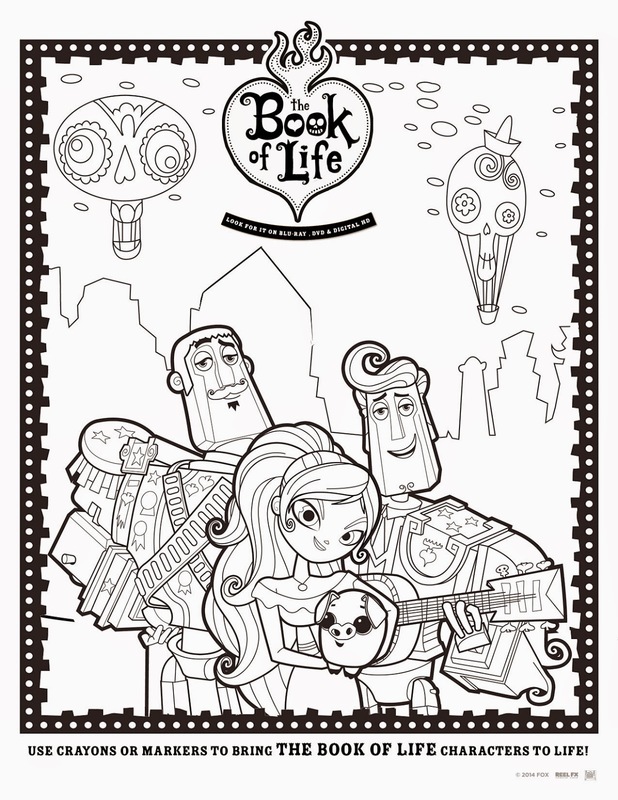 My kids wanted to see The Book of Life in theaters but we never did go. Would love to see it! We didn't see this in theaters. Would love to win since we missed it and add to our collection. I didn't see it in theaters, but the animation style looks really interesting. No, I have not seen this movie in the theater yet! I didn't get to see this yet and the animation looks so charming! I did not see it when it was in the theaters. I'd love to watch it with my family. I have not seen this movie in theaters, but it looks like a winner for the kids. We did not get the chance to see this movie in the theater. We didn't get to see this in the theater! No, we did not see this movie in a theater. We never saw it but I think we would like it! I haven't watched this yet, but I'd love to. No we haven't see this movie yet. but I would like to. 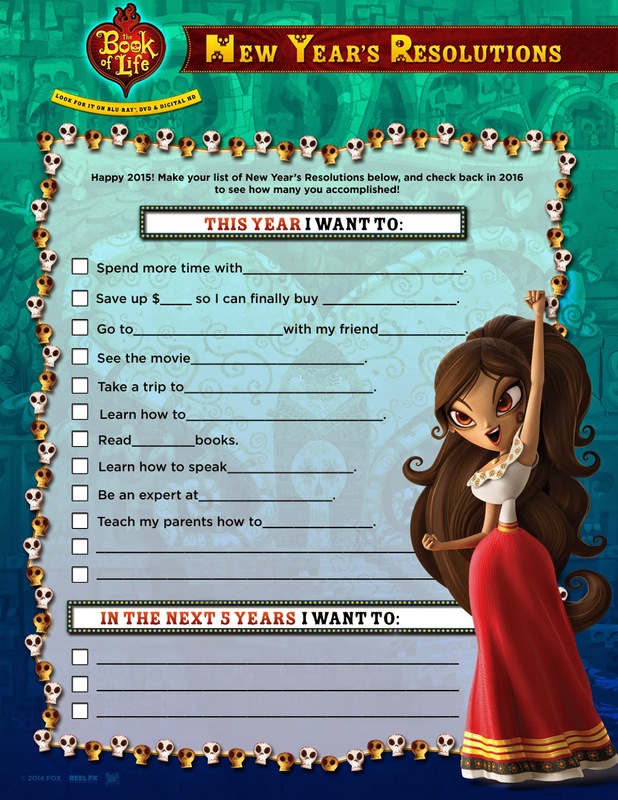 IO have not yet seen The Book of Life in theaters. I did not see it, but my daughter wanted to. I did not see it when it was in the theater. I haven't seen it but my daughter went with her grandmother to see it. No we did not see this movie in theaters. But we would love to see it. I did not get an opportunity to see it in the theaters. I did not see it in the theatre. I have not watched the movie but would love to. We missed this in the Theater because the closest it came to us here in Arkansas was 40 miles away. Would love to see it! 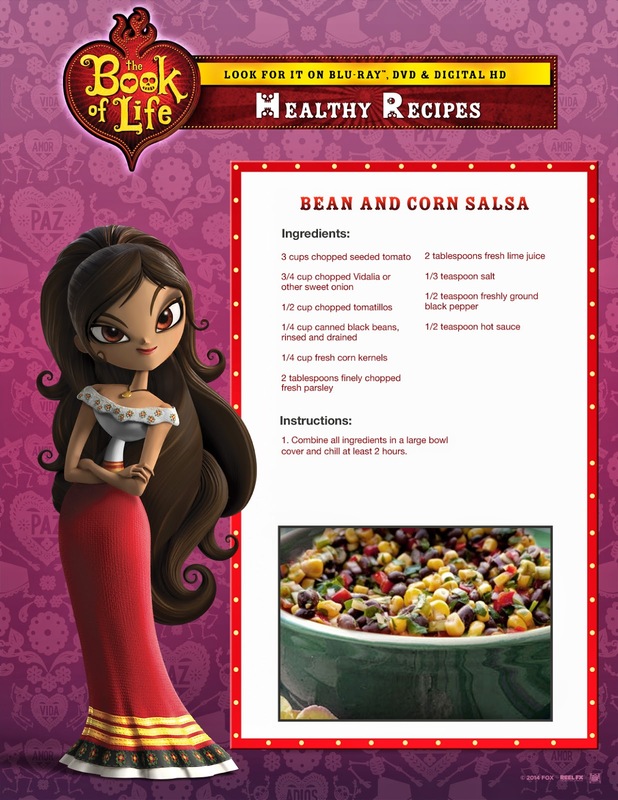 We did not see The Book of Life in theaters but we are eager to see it now! No, we have not seen it yet. My kids really want to see it. We didn't get to see this in the theater. I didn't make it to theaters to see this movie but my daughter and I really want to see it soon! I really wanted to, but we just never quite made it! And I still haven't seen it! We missed the movie when it was in the theater. No I didn't watch this movie in the theater. I did not see this in the theater. No, I missed seeing it in theaters. But it looks like a fun movie! Thanks for having the giveaway, and for the chance! This is the 3rd time Ive had to enter this giveaway. TIs anyone else having this problem? I didn't get to watch it in theaters but I really wanted to. No, we didn't see it in theaters, but would live to watch it on DVD! No, I have not seen this movie yet. I haven't seen it yet, but I want to! Haven't seen it yet, but I want to! I have not watched this movie yet. I did not get to catch this movie in theaters. No we didn't get to see!!! We didn't see this movie in the theater, I really need to to make an effort to go more often. We did not get to see this in the theater. I have not seen this in the theaters, but would love to add this to the Family Movie Night Library we have. We haven't seen this movie yet. I did not see this in the teather. No we did not get to see it in the theater. No I haven't watch the Book of life movie yet, thank you for the opportunity to win! Yes, I have already viewed this! No, we did not see it in theaters. No, we didn't see it at the movies. We haven't seen it. we never make it to the theater. I have not seen this in theaters or at all yet. We didn't see it in the theaters although my youngest did. I am disabled and it's hard to sit through a movie so we usually wait for it to come out and watch it at home. I have not seen this movie yet, but my niece saw it in theaters and loved it. I did see this movie at the theaters. I watched this with my kids and husband and enjoyed it very much. We have not seen this movie yet but it is one that my kids have been wanting to watch! I didn't see the movie when it was in theater. No I have never seen this movie yet. It does look cute. I haven't seen it yet but I'd like to. We didn't see it in the theater. We did not get a chance to see it when it was in the theaters. I wanted to! But I didn't get a chance. I did not get a chance to see it in theaters. No I did not see it in the theater. No, I didn't see it when it was in the theatre. No, we did not see this movie in the theater. I'm looking forward to watching the DVD, though.